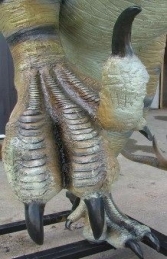 This spectacular 12ft high Utahraptor model is captured posed on one leg with its huge claws ready to attack its prey. 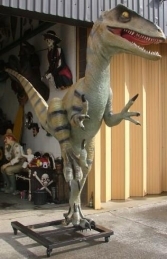 Our Utahraptor model is a fantastic representation of a raptor from the early Cretaceous 132-119 million years ago. 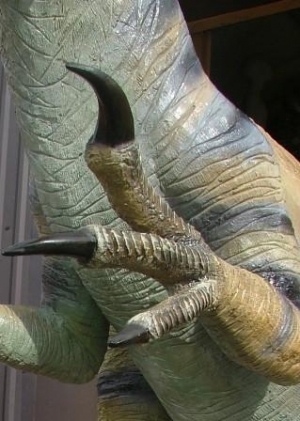 This type of dinosaur had huge curved claws on their second toe which were up to 9 inches long. 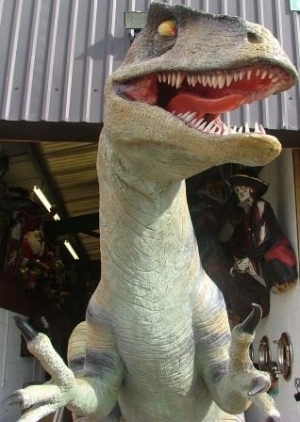 Our Utahraptor has recently taken centre stage in pre-historic and dinosaur play-area at a Bolton, it looks spectacular surounded by our other Dinosaur models.